Concepts like “religion” and “spirituality” are notoriously difficult to define. Does religion have to do with ethical norms, as Kant claimed? Or is it, as sociologist Emile Durkheim wrote, “something eminently social?” And how are religion and spirituality related? 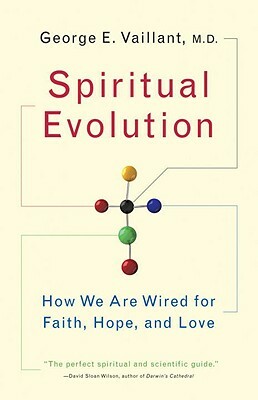 In his highly readable book Spiritual Evolution (Broadway Books, 2008), Harvard psychiatrist George E. Vaillant lays out a fascinating argument: that spirituality has primarily to do with positive emotions such as joy, compassion, awe, and gratitude, and that during the course of human history these emotions have been, and continue to be, evolutionarily adaptive. Formal religion, according to Vaillant, is best understood as having been historically the best means for orienting ourselves toward these positive, “spiritual” emotions, which are centered in the limbic (or middle) brain. Whether through awe-inspiring choral music on a Sunday morning or through a lifetime of meditation on loving-kindness, religious practices and doctrines are some of the most effective tools people have to tap into the physiologically—and culturally—beneficial potential of their limbic brains. Unfortunately, religions are also producers of cultural identity, and as such they give rise to cultural divisions and destructive chauvinism even as they paradoxically enhance the potential for the experience of emotions such as joy, awe, and compassion within their cultural boundaries. Vaillant does not shy away from the paradox, refusing to condemn religion a la Richard Dawkins or Sam Harris (both of whom he mentions frequently) but also soberly pointing out what he considers the shortcomings of religious tribalism, as well as suggesting that it represents an imperfect, perhaps outdated, tool for orientation toward spiritual emotions. The book is aimed toward a lay audience, and at times its simplistic language and somewhat broad generalizations may irk the more specialized reader. Vaillant also makes a number of claims that seem objectively unsupportable, such as that the increasing capacity for empathy is an identifier of continuing human evolution. Such claims hint at a teleological view of evolution that is incompatible with Darwinian orthodoxy. Nevertheless, Vaillant eloquently and convincingly presents the case that positive emotions, arising in the limbic middle brain and modulated by the human neocortex, have played a primary role in boosting human fitness over our 150,000-year history, and that these emotions are the primary elements of the spiritual experience. Spirituality, then, is biologically adaptive and at the same time lies at the core of the world's religious traditions. For more information on this book see here. For an Atlantic Monthly article on George E. Vaillant's work, see here.